Freedom for re-mix and sharing is more likely to be supported by Republicans than Democrats. YouTube needs to be more respectful of fair use. Lessing asks, can we build this ecology of freedom? He eloquently argues for reform of the Digital Millennium Copyright Act (DMCA) because this statute reaches too far, suppressing a wide variety of legitimate creative and innovative activities in ways Congress did not intend. Pete Cashmore [Mashable CEO] now writes for CNN and tells us Why Facebook's Privacy War is Not Over. Basically, Facebook CEO Mark Zuckerberg's vision is "somewhat utopian"; the Facebook argument is that more sharing creates a "better world." While we are all connecting and trying to create this better world, Facebook is making money with advertisers. A soon-to-launch feature will allow users to share their location, putting Facebook in competition with burgeoning services such as Foursquare and Gowalla.GPS location is telling everyone exactly WHERE you are RIGHT NOW. Not exactly addressing privacy concerns. For those not paying attention and for those not attending to their privacy settings, it's not a good situation. As educators we need using social media and teaching students about the pitfalls as they increasingly share more information with the world. MIT has recently added “Highlights of Calculus” to their OpenCourseWare site. This looks as though it would be helpful for individual student review. The course "home page" offers more information on Professor Gilbert Strang's materials. There are several 30 to 40 minute videos, each with a linked summary and/or practice problems. See right side of this page, for example. Have you heard about The New York Times’ Summer Reading Challenge? While promoting reading of the Times, this challenge also encourages reading of more non-fiction and current events of the students’ choice and more discussion of the content. This year, the Times will repeatedly ask students to post their thoughts (400 words or less) in response to the question “What interested you most in the Times this week?” They can comment upon an article, photo, podcast, graphic, etc. and the page for this week is here. The Times cites rationale for this project in an earlier posting: In “The Crush of Summer Homework,” last August, particularly the comments by University of Michigan Professor of Education Elizabeth Birr Moje. 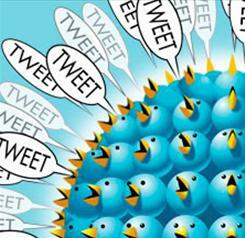 Twitter Power: "humor, information, emotion, and all in 140 characters"! People aren't laughing and making fun of Tweeters anymore; it is no longer just a celebrity phenomenon. The Library of Congress has chosen to archive the world's tweets in order to curate and disseminate information to scholars. What a trove of oral history from 114 million users! Individuals have a voice which is connected to the world as never before. Twitter has been used as an activist tool, one for promoting social good; it is now looked to as a barometer of people's reactions to evens and products. Role of Media in 2.0+ Culture.? Just what do we expect from our news and media outlets? Do we expect facts? the truth? both sides of an issue? constant coverage? These are just a few of the many questions we need to ask ourselves as we move into a 3.0 online culture. If we don't demand excellence, we will receive only mediocrity From the Gulf War to Operation Iraqi Freedom to the oil spill in the Gulf of Mexico, reports are flying from tons of outlets to your phone, e-mail in box, TV, or radio near you. Is it true? Chris Wilson, from Venice, LA, reinforces that fact that we need to think critically about what we hear and see with regards to the oil spill. As reported by MSNBC, "Venice's [LA] charter fishermen and tourism bosses are blaming negative US media coverage of the Gulf oil spill for doing more damage to the industry than the oil slick itself, with their livelihoods threatened because tourists are canceling trips, despite 95 percent of the state's waters being open for fishing." Haven't yet figured out Facebook's 170 different privacy settings? 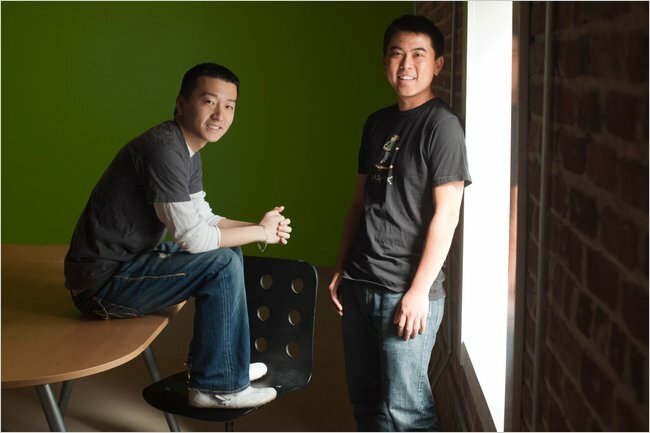 Leo Shimizu, left, and David Chen founded Pio.io, a social site that emphasizes privacy. Pip.io is an application that helps users create, track, and manage their online conversations. Like Facebook and Twitter, Pip.io encourages its users to upload videos and photos, add status updates, and communicate with friends in whichever ways they feel most comfortable. Click on the graphic to the left to enlarge: based on U.S. data from Forrester Research. These are the types of online activities done by members of seven different age groups. There are six user actions labeled in the infographic; creators, critics, collectors, joiners, spectators, and inactives. Age groups represented are Young Teens, Youth, Gen Y, Gen X, Young Boomers, Older Boomers, and Seniors. Young teens and Youth are by far the biggest creators of content. How can high schools capture and channel that enthusiasm for social media? Watch a tutorial of how Edistorm's realtime brainstorming technology works. Downside: Private storms are invite only storms and you can select who you want to have access to the storm. For the first 30 days you can create as many private storms as you want; there is a fee after 30 days. 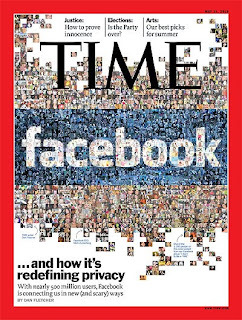 "The feature article by Dan Fletcher delves inside Facebook and its methodologies for hooking new users and explores the historical events leading up to present-day privacy concerns around Open Graph and instant personalization." 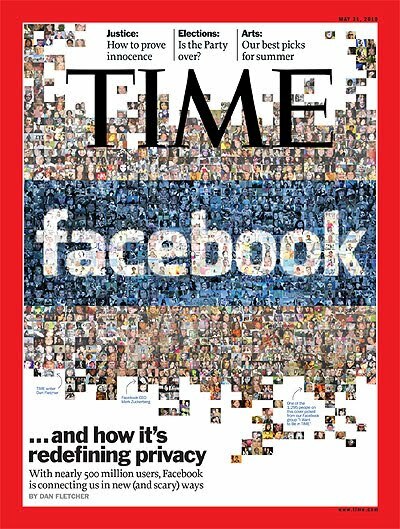 Lots of interesting facts that are worth mentioning: Facebook houses the world's largest photo collection--48 billion unique images! Check out the newest iPhone app provided by GaleCengage! It allows students and staff to access their school library Gale databases with the iPhone. Have you tried Google Wave? If not, Google just opened it to everyone. Here are a few examples of using Google Wave, including one to collaborate on an epic poem. What do you think? How could/should we use this? Will it replace Google Docs for some of our teachers/students? I have to confess to having had an invite and never using it, but maybe it's worth another look? 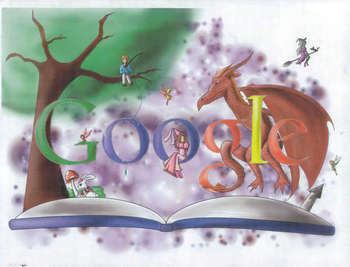 An annual favorite is the Doodle for Google contest -- I love seeing the creativity and thinking behind the designs such as "Magic in a Book", shown here. It's been a day filled with art as our Art AP Studio students are also exhibiting today. Is Facebook betraying its users? "I defend Facebook because it is the wrong target for our anger. It has done more to bring people together than any technology of the last five years, and the good it has brought far outweighs the bad. We made the decision to turn our personal information over to a private company, and for the most part Facebook made good use of it." 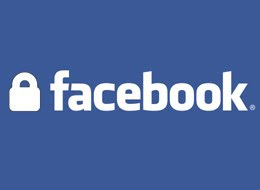 Has Facebook compromised user privacy? "Quitting Facebook won’t solve the privacy conundrum: common sense and better education about how privacy has changed will. This debate has once again exposed the gap between how the world has changed and our assumptions about how the world works or should work. Attacking Facebook won’t help us come to terms with our society’s struggle over the changing nature of privacy." 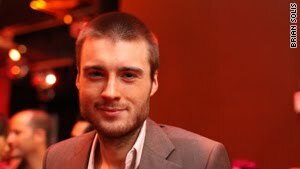 Pete Cashmore [Mashable CEO] believes: There is no such thing as privacy. This points to the fact that we need to be teaching our students how the world works, and how even if we don't turn our information over to a private company, anyone can post information about us on the web. It's the world we live in and let's not stick our heads in the sand. Once again, I remember distinctly that about six months ago, Will Richardson asked: "When do we stop trying to fight the inevitable and start thinking about how to embrace it?" Or, as Doug Johnson so eloquently suggests, when are we gonna saddle this horse and ride it?" Today Will Richardson's blog article was simply entitled: Teach. Facebook. Now. Read his plea to get real with the students. He sums it up by stating "I know Facebook isn’t on the test, but c’mon. It’s time it becomes a part of how we help kids live in this world." Are any administrators out there paying attention? Check out this SlideShare Presentation shared on Twitter by Spiro Bolos. What does genuine learning look like? Last Tuesday morning, we watched a short video showing some of the note taking features and manipulation available from CafeScribe. Today's press release, "Digital Textbooks Acquire Powerful Search and Social Networking Capabilities", further describes how students can form discussion groups or share notes with Follett's CafeScribe's social networking platform. As we explore digital textbook options, we will want to include questions to learn more about what our bookstore could offer and when. Wikipedia has made some recent changes that will make editing easier. Q What is Wikipedia doing to try to get a more diverse group of contributors?
" We’re very global; there are people all over the world editing Wikipedia, mostly in their own home language. But there’s a certain geek culture that transcends national cultures; there’s a homogeneity in that. The main thing we’re doing is the useability project. We have a $950,000 grant from the Stanton Foundation that’s specifically targeted at finding the points in the software that are off-putting to people that aren’t computer geeks. There are lots of people that are geeks, but not computer geeks. I always give the example of a stay-at-home mom with a master’s degree. So, this is a very educated person, someone who is already on the Internet and sharing information, but probably not participating in Wikipedia, because she’s not a computer geek." Look and feel: essential functions easier to find. Navigation: tabs at the top of each page more clearly define whether you’re reading or editing a page. There’s also a collapsible navigation for the left sidebar that hides items that aren’t used often, but allows them to continue to be easily accessible. Editing improvements: formatting pages is simpler and more intuitive and creating tables is easier; new find and replace feature to simplify page editing. Updated Puzzle globe and wordmark: The well-known Wikipedia globe and wordmark have been enhanced and improved. We’ve introduced Linux Libertine, an open source typeface to help support the creation of hundreds of localized Wikipedia wordmarks, and the internationally-recognized puzzle globe has been recreated in 3D and includes even more languages. In the Personal Tech section of today's New York Times iPhone, iPad, Blackberry, and Android apps for e-readers are compared. Bob Tedeschi explaines the differences between the iBooks app for the iPad, the Barnes & Noble eReader, iPhone app, the Kindle app for the iPhone, and the Kobo app backed by Borders. Just when we thought we had our work cut-out for us to teach students (and adults) about evaluating information, our trail has now become more of an up-hill climb per a recent speech by President Obama. The wonderful Unquiet Librarian has made great comments on his speech, and even references one of his former speeches. May we start the climb today, as we increase our efforts on educating everyone in our communities, even those who we think should know the importance of cultivating critical consumers of information. "First, the real problem here is not information itself or the devices in which people access it, but instead, the core issue is the fact that too many people lack essential information evaluation skills that are relevant for today’s information landscape. Secondly, information and the gadgets are like anything else—people have the free will and choice to use them in a positive manner or a less than positive way." "Dear Mr. President, Misinformation is the Real Distraction"
Shepherds Junior School in Arusha, Tanzania, is getting a school library, thanks to Twitter and the grassroots fundraising group Epic Change. Epic Change founder and CEO Stacey Monk (@StaceyMonk) volunteered at the school in January 2007, and its founder and headmistress Mama Lucy Kamptoni asked Monk to partner with her school. Monk’s website, which supports grassroots change and social entrepreneurship, decided to sponsor the school through TweetsGiving, a 48 hour fundraiser that takes place around the Thanksgiving holiday. Using Twitter, blogging, and other social media, the site raised $10,000 in 2008, which was used to build a new classroom for the Tanzanian school. And last year, it raised $35,000 to create the school’s first library, which will open in the next few months. Under the tab “Learn it” there are ideas for teachers who may want to experiment with PicLits in their classrooms. This has potential as a powerful tool for those teaching poetry. Users can save, blog, or e-mail their final product. JudyG - this one's for you on what I hope is a Happy Mother's Day! Watch the short video and check out the referenced wiki with links to Social Media Resources. JudyG posted a video [Socialnomics] yesterday about Social Media and bringing digital media into the classroom as described in a new book, Teaching Tech-Savvy Kids. That author, Jessica Parker, just started a new web site on the subject. I initially learned about this due to a fairly extensive interview which she and other educators had recently with Henry Jenkins. Here's his blog posts: part one and part two -- well worth reading and discussing. For example, high school teacher and UC Berkeley doctoral candidate Maryanne Berry says, "Excellent teaching involves a degree of risk and sadly today there are many constraints on teachers that keep them from trying anything new....I think teachers need to ... ask themselves, 'how can I use this to forward the subject I teach?'" There are also several comments about Wikipedia and an observation from Jessica Parker about how "classroom teachers are often voicing their concerns about a lack of opportunity to sit down with their colleagues and discuss important issues; time is not allocated for them to be apart of a learning community." She also talks about "the possibility to create a community of learners made up of both teachers and students working toward a common goal." Join the discussion - post your thoughts here, on Jenkins' blog or on Parker's new page. Interesting statistics on the use of social media in higher education. View more presentations from Pearson Learning Solutions. Watch the "promotional trailer" for this new book on social media and it's transformative impact on our world. At New Trier, we have huge interest in this topic and it will certainly be saved on my Amazon Wish List. "In short, we tried to take all the things we strive for at Google and make them better: powerful technology, snappy results, simplicity and a fun and quirky personality. Our goal was to take a design known by millions of people and make it better. As a designer, it’s hard to think of a more exciting challenge." What are LibGuides? 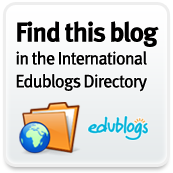 LibGuides are a library knowledge sharing system. Libraries use it to create attractive multimedia content, share knowledge and information, and promote library resources to the community, usually in the form of pathfinders on specific subject areas. They are being created by university and public school librarians. Librarians have access to the "community" of information on each school's portal. One LibGuides community member – Buffy Hamilton aka the Unquiet Librarian, media specialist/teacher-librarian at Creekview High School in Canton, Georgia is an proponent of LibGuides within the K-12 space. On her blog last month she posted the top ten reasons she likes LibGuides: Unquiet Librarian blog on April 16th, 2010 .
class projects. See an example below. Plus blog posts from The New York Times and The Wall Street Journal. 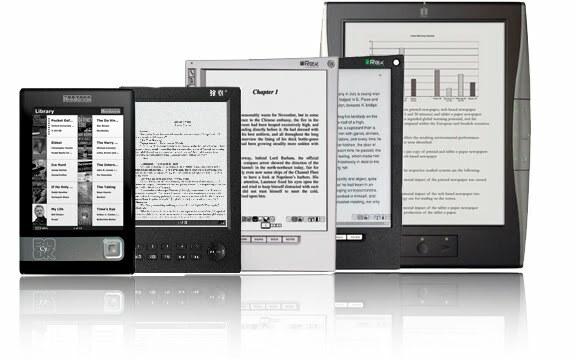 Google Bringing e-books to your Browser? Apparently, we were not the only ones thinking about e-books today. PC World just posted this article. More information available from today's Wall Street Journal. Try Mashpedia for real-time searches and explore online content about almost any topic. In every article you get a basic definition, the latest related news, videos, images, twitter messages and relevant stories from Digg (chosen as favorites by the crowd.) . • It's not a Search Engine: "Mashpedia provides articles for specific topics such as concepts, subjects, personalities, events, places, companies, products, etc., but not for broader, unspecific searches."